The holidays are a time of year when we truly show people who we are. We do it all year long, but it is truly magnified in the last months of the year. Whether it’s extending a warm greeting, sending a card or giving a gift, there are so many ways to spread the warmth and cheer this season. So do it right! And that means, giving gifts with meaning. A great way to do that is by shopping with organizations that give back. We here at ECOBAGS.com work with so many non-profits and wonderful organizations all the time that we just assume everyone else is as aware of them as we are. But maybe you’re not! If that’s the case, then let Google be your friend. No matter what your interests, the internet can help you find a charity that is aligned with your values. From animal welfare to music education, native species protection to youth development, there’s one out there for you. Many have online or brick-and-mortar stores or you can simply donate in a person’s name. I grew up riding horses and I remember a relative’s gift of sponsoring a wild mustang on Assateague Island was one of the most memorable gifts I ever received. One of my favorite ways to get in the holiday spirit is at local holiday markets and fairs. Our friends at Realmama.org clued us into a great fair in NJ called the Calendars for Kids Holiday Expo. The event is sure to have some great vendors but also give back to important causes. If you’re in the neighborhood, make sure to stop by and visit the Real Mama crew. 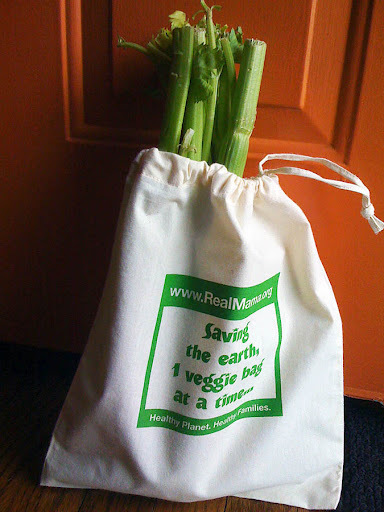 They’re a great organization that has a wonderful mission; “Real Mama‘s goal is to increase awareness and conservation of the natural environment through our most important resource, our children.” And they’ll be debuting their new produce bags seen below. Keep an eye and an ear out for local, charitable events in your town and before you know it, your holiday shopping will be complete!